Heat the oil in large skillet over high heat. Add the mushrooms and stir fry for 1 minute. Add the garlic and cabbage and stir fry for 2-3 minutes more. Stir in the Tamari, black pepper, lime juice and the toasted sesame seeds. Transfer to a serving bowl and serve. In Recipes-list.com we have selected the most viewed recipes from category - uncategorized . Enjoy the best recipes specially selected for you! 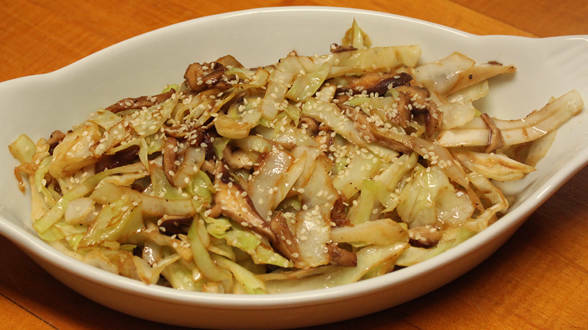 Warm Shitake Slaw is the right choice that will satisfy all your claims.